Most mobile phones sold in the US come with 1-year warranties, as opposed to handsets sold in Europe and other markets, where the law requires manufacturers to offer 2-year warranties. LG, however, has taken a different stand on this matter and, since launching its G6 flagship back in 2017, it's been offering free extra warranty with all its high-end smartphones sold stateside. We're happy to inform you that this will not change with the brand new LG G8 ThinQ and LG V50 ThinQ 5G (pictured above), both announced at MWC 2019 just days ago. 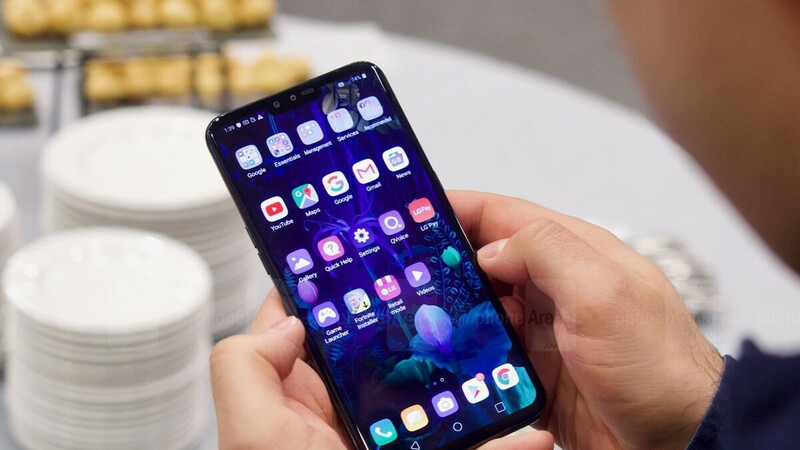 While LG has yet to say exactly when the G8 ThinQ and V50 ThinQ will be released (other than "sometime this Spring"), the company can already confirm that the two handsets are part of its Second Year Promise program. This means that US buyers of the G8 and V50 will get 2-year warranties at no extra cost. 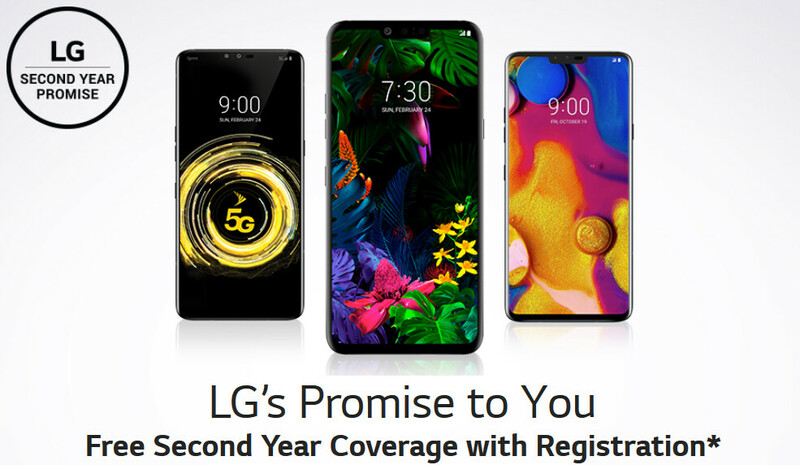 The extended warranty is not offered automatically - to be eligible for it, you will have to register your new phone via LG's website within 90 days of purchase. All in all, owners of the LG G8 and V50 will have some extra piece of mind compared to folks buying any other new high-end phone, including Samsung's Galaxy S10 handsets, as these come with 1-year warranties. We're particularly mentioning the S10 not just because the series was announced several days earlier than LG's phones, but also because Samsung and LG flagships have always directly competed to gain the hearts of Android users. Granted, Samsung's Galaxy S10 smartphones have advantages of their own, including 2 extra gigs of RAM - 8 GB vs 6 GB - and more eye-catching designs thanks to their super-thin bezels (albeit design attractiveness is subjective). Until we get the chance to review all these phones and see which offers more bang for the buck, you may want to read our Galaxy S10+ vs LG G8 and V50 early comparison. LG now that's how you do a warranty. All flagship phones should come with 2yr warranty. I can never fault a company for offering something more generous compared to other competitors offering the bare-minimum. Hmm 2/6yrs warranty can't be compared to Sammy flagship!! It can compare if any flagship dies after a year. I've heard plenty of horror stories of phones suddenly dying after a year to year and a half.